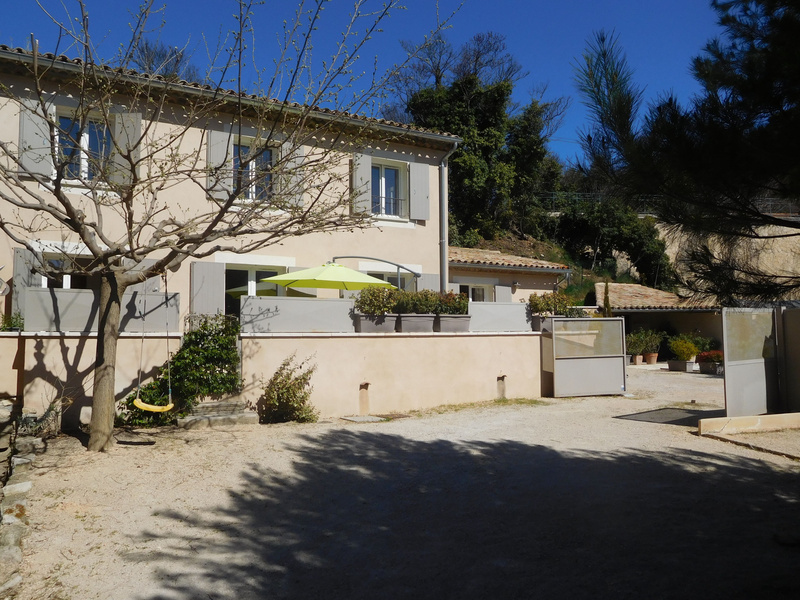 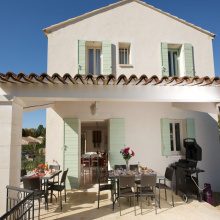 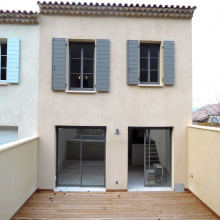 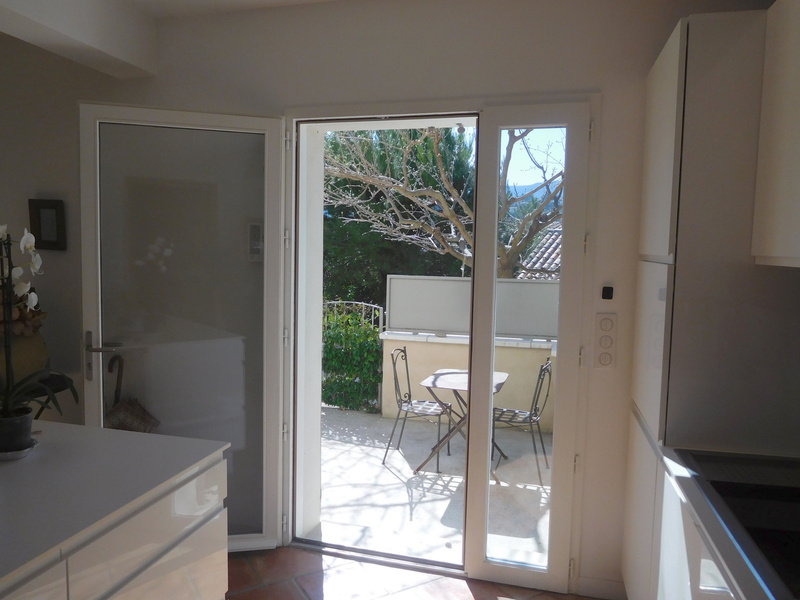 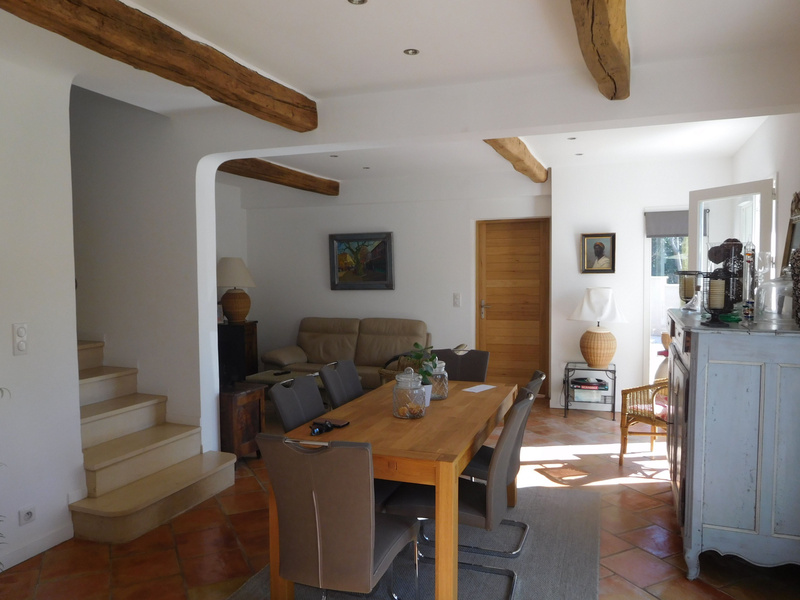 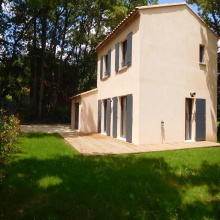 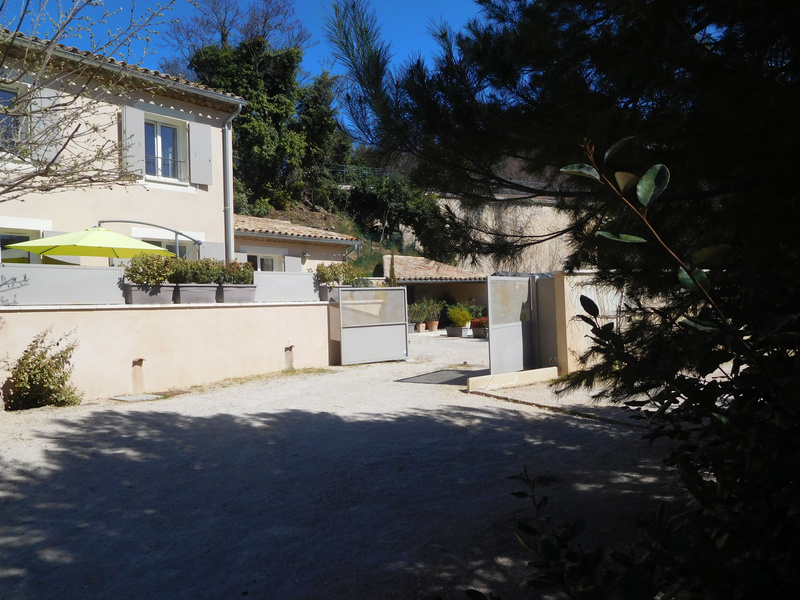 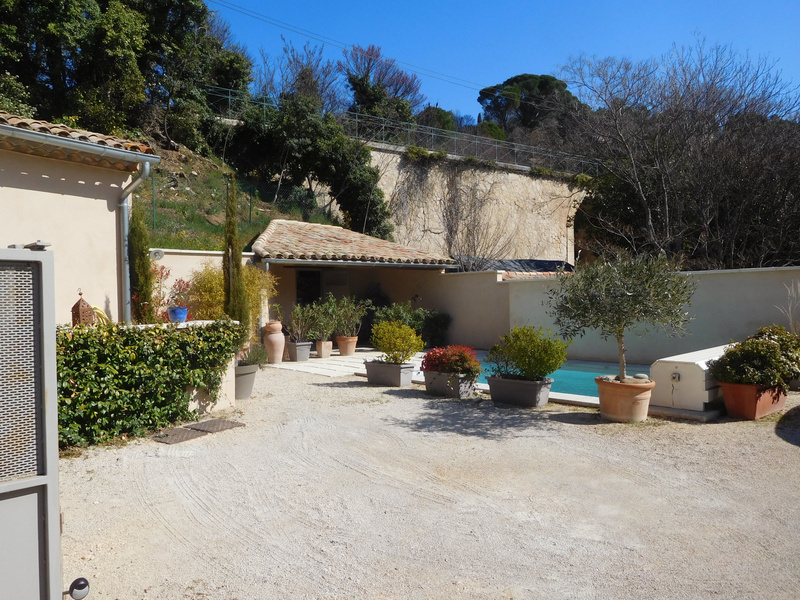 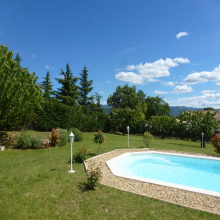 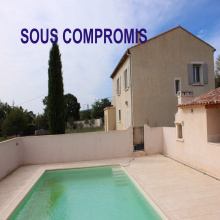 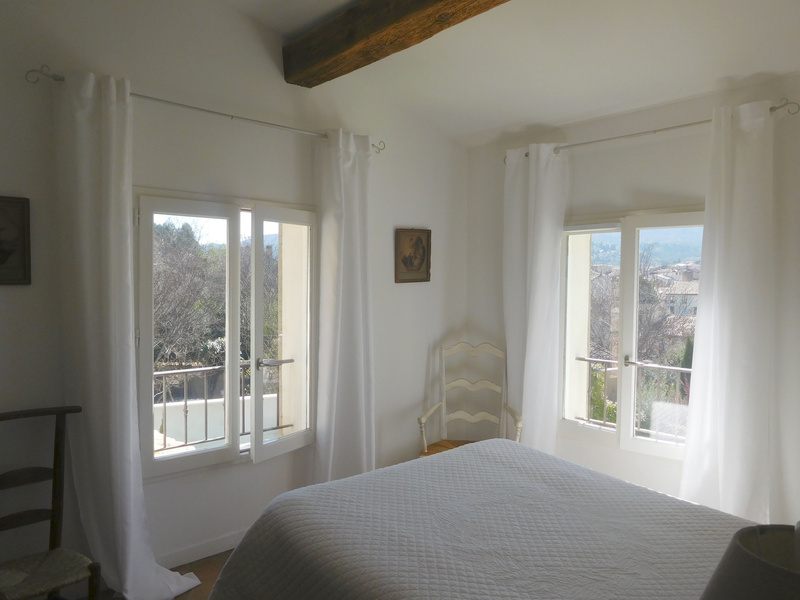 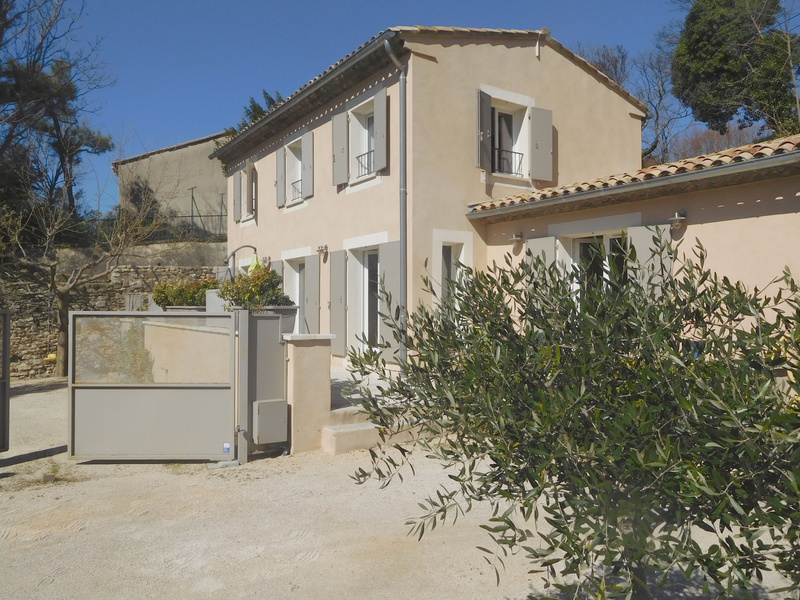 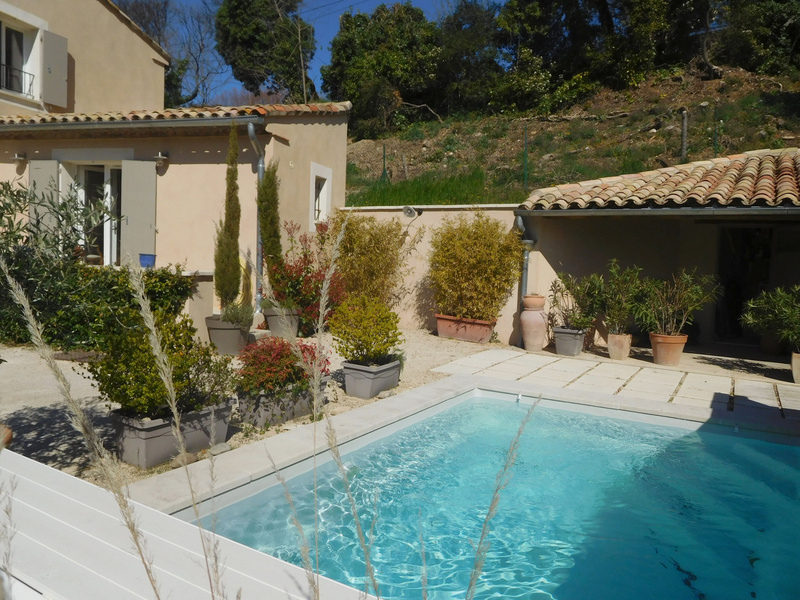 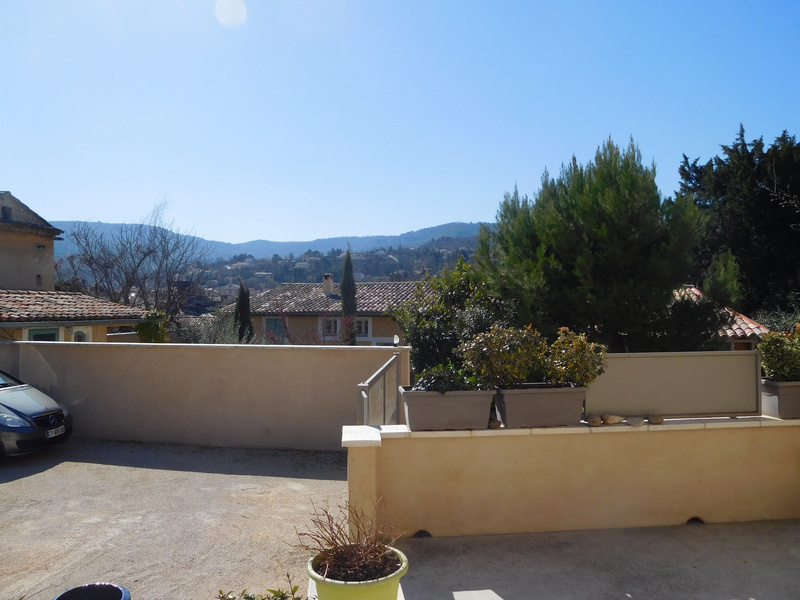 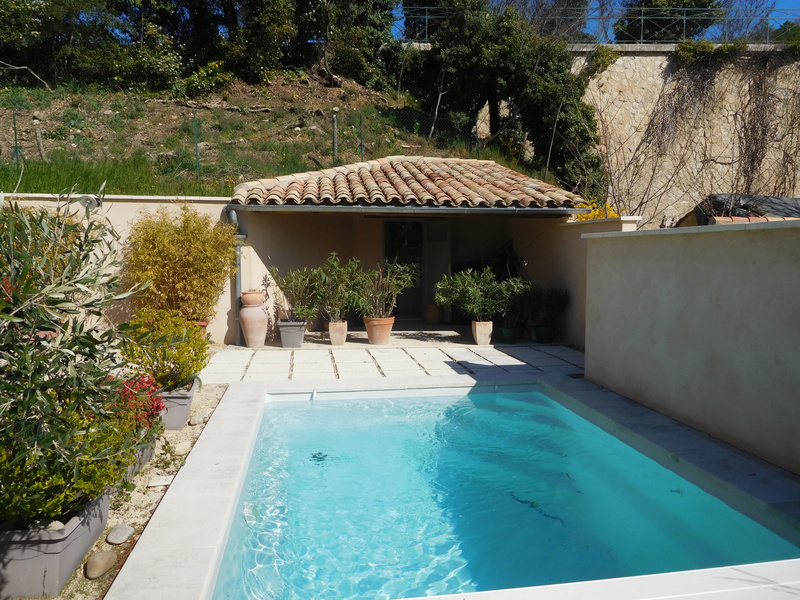 For Sale - Apt - The Real Estate Agency Joys of Provence presents a lovely new house with 5 rooms, Downtown Apt. 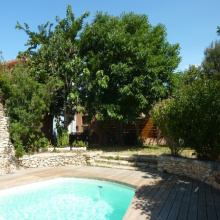 Very nice construction, very quiet situation, private garden, parking, automatic gate, beautiful terrace, swimming pool. 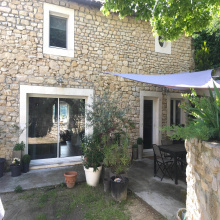 The house is very spacious and very charming, bright living room with multiple openings onto the terrace, bedroom and bathroom / WC on the RdCh. 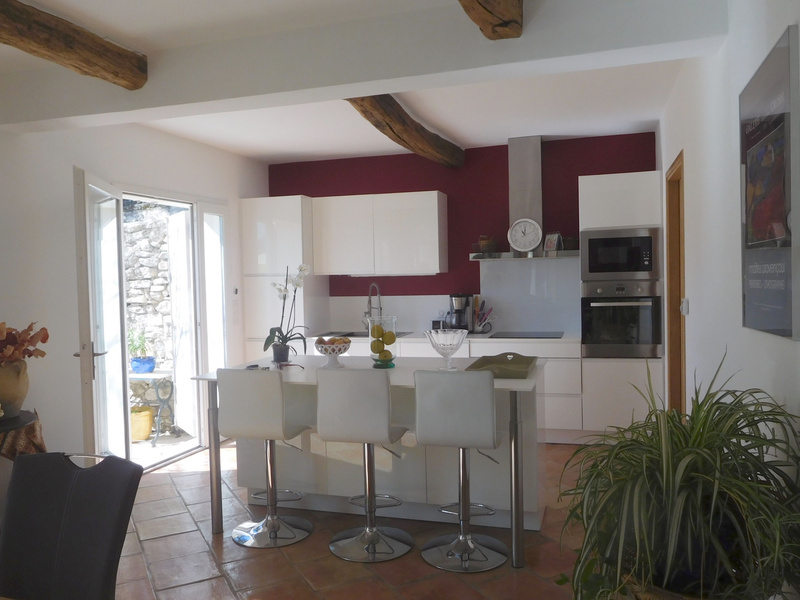 Fully fitted and equipped american kitchen, back kitchen with small rear terrace. 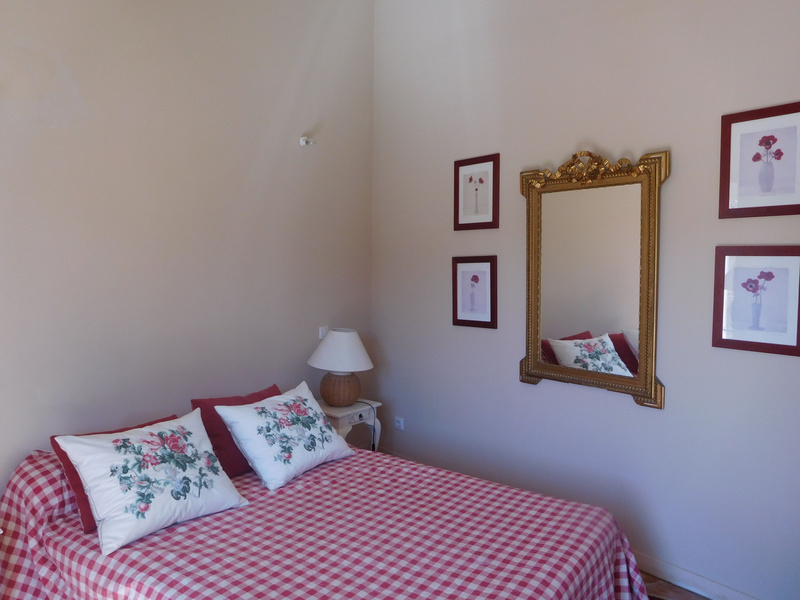 On the 1st floor 2 nice bedrooms and an office, bathroom / WC. 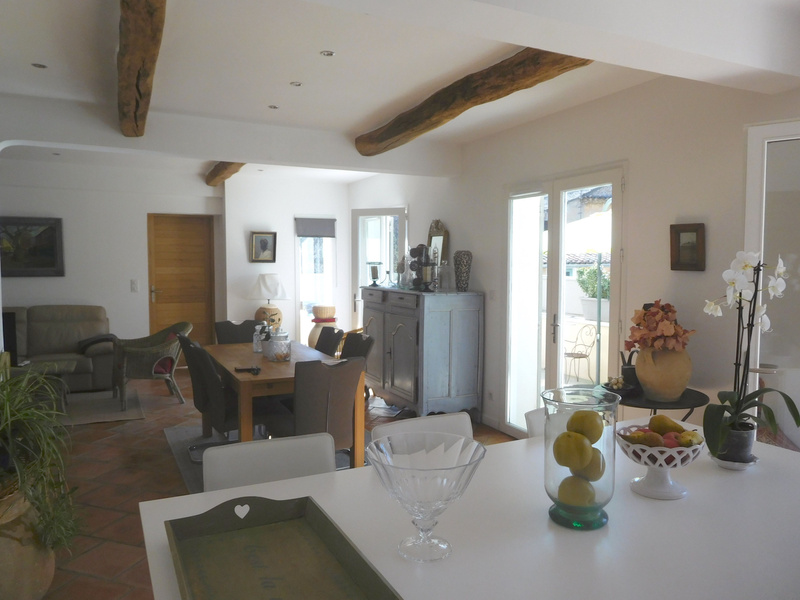 Very charming, superb construction fitted with old terracotta tiles and beams.